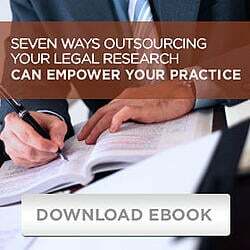 Updates in Employment Law Legal Research - Employment Law Blog | National Legal Research Group, Inc.
EEOC announced that McDonald’s will pay $56,500 and other relief to settle a disability discrimination lawsuit in which EEOC alleged that the company refused to hire a deaf applicant. The applicant, a man who is unable to hear or speak, had previous experience working at another McDonald’s. When the manager discovered that the young man needed an interpreter for the interview, she canceled the interview, even though the applicant’s sister had volunteered to act as an interpreter for the interview. The applicant made several (unsuccessful) attempts to reschedule the interview and McDonald’s continued to interview other applicants throughout that time period. For additional information, see the EEOC press release. There have been similar cases in the past in this same vein. For example, in one case, the Eighth Circuit upheld a jury verdict that an employer that used Mind Body Energy (MBE) training sessions had discriminated against an employee on the basis of religion. The employer, a home builder and seller, required employees to participate in MBE sessions to "cleanse negative energy." The sessions included reading Hindu and Buddhist literature and affirming the belief in past lives. The employee complained that the sessions conflicts with his religious beliefs and he declined to participate in them. He was subsequently terminated. The Eighth Circuit noted that although there was some conflicting testimony as to the reasons for the employee’s termination, the fact that the employer kept attendance records for the sessions and the fact that the sessions were reasonably perceived by employees as required, was sufficient basis for a jury to find in the employee’s favor. Ollis v. HearthStone Homes, Inc., 495 F.3d 570 (8th Cir. 2007). As these cases show, employers must take care to screen any training programs and accommodate any employees who give notice that these programs are inconsistent with the employees’ religious beliefs, whether or not the employer believes there is a religious basis for the employee’s objection. In a Wisconsin case involving a wellness program, Orion Energy Systems argued that its program was not subject to scrutiny under the ADA because of the ADA’s insurance safe harbor provision. The plan required employees to undergo medical tests for the wellness program or pay 100% of the health insurance premium. Orion also argued that the wellness plan was voluntary and therefore lawful under the ADA. The court rejected Orion’s argument that the plan was not subject to scrutiny under the ADA but did find that the plan was lawful under the ADA because it was voluntary. However, the case will go forward because the court also found that there were issues of facts regarding whether the employee was fired in retaliation for her opposition to the plan. For additional information, see EEOC’s press release: https://www.eeoc.gov/eeoc/newsroom/release/9-23-16b.cfm. The EEOC alleges that M&T Bank failed to provide a reasonable accommodation and fired a bank manager after she returned from pregnancy leave. The woman had worked as a branch manager in Baltimore for several years when she became pregnant and informed upper management that she would need surgery to prevent a miscarriage. She then went on FMLA leave. While she was on leave, M&T told her that the bank would fill her position unless she returned to work within 10 days. She was unable to return to work until after the birth, at which time she applied for vacant positions. M&T failed to reassign her to a vacant position, including 24 vacant branch manager or assistant branch manager jobs for which she was qualified. For additional information, see EEOC’s press release: https://www.eeoc.gov/eeoc/newsroom/release/9-23-16.cfm. The Montevideo School District in Minnesota has signed a conciliation agreement under which it agrees to pay $50,000 to a female employee who was classified as a custodial aid but performed the duties of a custodian. Her male co-worker was classified as a custodian and received pay at almost double the female’s hourly rate. For additional details of the agreement, see the EEOC news release at https://www.eeoc.gov/eeoc/newsroom/release/9-7-16b.cfm. On August 29, the EEOC issued final Enforcement Guidance on Retaliation and Related Issues. The new guidance is part of the EEOC Compliance Manual and is available at https://www.eeoc.gov/laws/guidance/retaliation-guidance.cfm. The guidance provides detailed examples to help employers understand what types of actions may constitute retaliation. Retaliation is now the most frequently alleged form of discrimination and in FY2015, accounted for almost 40,000 filings, or approximately 45% of discrimination charges filed.